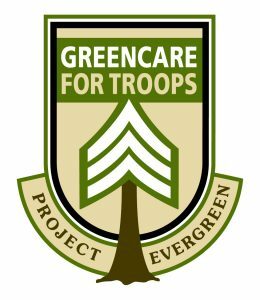 Arborjet and Ecologel Solutions are 2019 silver sponsors of Project EverGreen’s GreenCare for Troops program. The GreenCare for Troops program is for active-duty, deployed service members. As part of the sponsorship, Ecologel has committed to provide free Hydretain products to help maintain the lawns and landscapes of deployed military personnel. Lawn and landscape professionals who volunteer with the GreenCare for Troops program, will receive access to coupons for free Hydretain products. Hydretain is a soil moisture management technology manufactured by Ecologel. It is designed to reduce watering requirements of turfgrasses, trees, shrubs and flowers by 50 percent or more. “We are proud to support Project EverGreen as their mission aligns with our philosophy of preserving green spaces, including lawns, trees, parks and communities in a sustainable way,” said Ecologel President Rick Irwin. Headquartered in Cleveland, Ohio, Project EverGreen is a national non-profit organization. In 2018, the GreenCare for Troops program engaged close to 1,500 active volunteers, who helped more than 700 military families maintain their home lawns. Since its inception, more than 11,000 military families and 6,000 contractors have registered for the program. “We feel fortunate to have Ecologel on board as a sponsor working toward the common goal of preserving ‘green spaces’ while supporting GreenCare for Troops across the country,” said Cindy Code, Project EverGreen’s executive director.